At the end of Tod Browning’s Freaks (at about 1:03 in the clip below), as the freaks chase down Cleopatra to exact their revenge, there is a particularly creepy scene that shows the armless and legless Human Torso crawling along the muddy ground with a dagger clenched between his teeth. I always get goosebumps when I see that and can never help wondering what the Torso would look like in action. 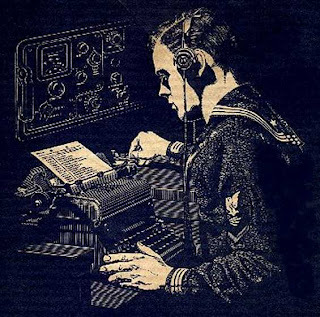 W.C. Morrow’s short story, “His Unconquerable Enemy” (originally published in the Mar. 11, 1889 issue of The Argonaut), goes a long way toward answering that question. It features an avenger in a similar physical state and a morally bankrupt first-person narrator who may be even scarier. Well worth reading. Today marks the 75th anniversary of the birth of Doc Savage, one of the most popular characters in the history of pulp fiction. Capitalizing on their success with The Shadow, Street and Smith publishers decided to create a new character who was more of a superhero adventurer than detective (though Doc could have easily matched wits with The Shadow, himself). 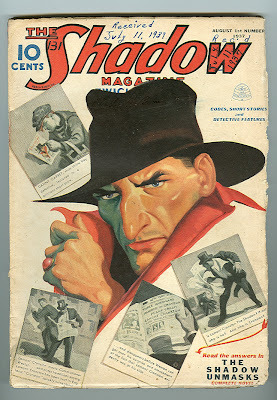 The first adventure was published just two years after the Shadow’s debut in 1931, and like The Shadow, was written under a pseudonymous by-line, “Kenneth Robeson”. Lester Dent was Doc Savage’s actual creator and wrote the majority of the stories. 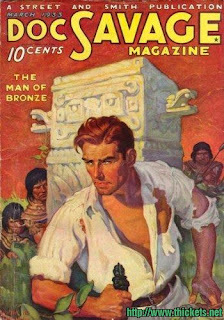 In his debut, titled “The Man of Bronze”, Doc and his “Fabulous 5” companions, shortly after the funeral of Doc’s father, Clark Savage, Sr., find themselves under attack by a warrior from a lost South American civilization. After this has been thwarted, the team goes on the offensive and flies to the “lost valley” in South America, where they become entangled in a civil war and treasure hunt. It’s a classic, H. Rider Haggard-like, adventure yarn, modernized and paced for an audience who would, in another five years, be reading the exploits of Savage’s comic book descendant–Superman (N.B. Dov Savage was the owner of the first “Fortress of Solitude”). The story has been reprinted many times over the years and is available in several formats, but if you want to really experience the look and feel of the original, please check out Anthony Tollin’s reprint (and the others he has done). Also, for bibliographic information, I highly recommend Chuck Welch’s Doc Savage Organized site. Here is another short video for this Halloween, based upon Frank Belknap Long’s famous short story “The Hounds of Tindalos”. The story, first published in Weird Tales in 1929, is significant not only for its quality but for being the first to actually add an entity to H.P. 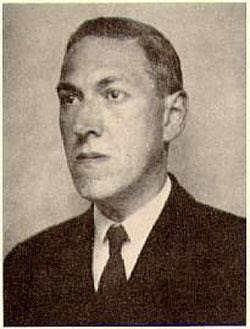 Lovecraft’s Cthulhu Mythos. 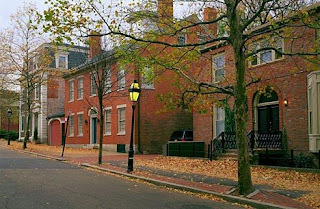 Though they had met before through their amateur press connections, Lovecraft and Long became close friends while Lovecraft was living in New York, and Long was a founding member of the Kalem Club, which was the literary circle Lovecraft cultivated during his brief exile from Providence. “The Hounds of Tindalos” is Long’s most famous supernatural tale, and I very much wanted to provide a scan of it. However, it is still under copyright, so I’ve decided to post this video instead. In the original story, which can still be obtained here, a writer and expert on the occult summons his friend to his apartment in order to take notes for an experiment. The experiment involves ingesting a drug in order to psychically travel through the fourth dimension in order to witness both the beginning and end of time. 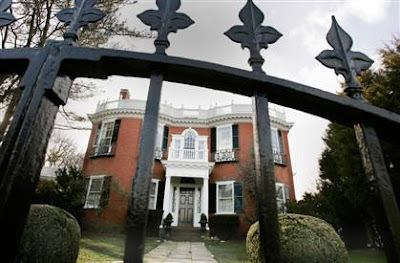 Needless to say, something goes wrong, the writer is observed, and after being awakened by his friend, the man is pursued by the “hounds” of the title. These can only enter our dimension through the angled intersections of surfaces, but not through curves. The writer’s only hope lies in using papier-mâché to round out the corners of his flat before the hounds can enter. The animated version is a sort of sequel to the original, in that it presents an investigation into the tragic results of the above experiment and then perpetuates them. I had the chance to check out the first episode of David Drage’s new Dial P for Pulp podcast the other night and would like to recommend it to other fans of the genre. The show consists of a review of the book, Hard Boiled Cthulhu, an interview with illustrator, Tom Roberts, and a reading of the first part of Robert E. Howard’s “Red Shadows”. The review alone was well worth my time, since it saved me from actually purchasing the book (seriously how can you compile a “hard-boiled” mythos anthology without including Kim Newman’s [a.k.a. Jack Yeovil] “The Big Fish”?). I would also like to remind everyone about Scott Monty and Burt Wolder’s I Hear of Sherlock Everywhere podcast, which has lately really hit its stride. That’s right, he’s called “Bicarbonate Johnny”, and he doesn’t let a little dyspepsia keep him from discovering the mystery of the “Claw of the Kidnapped Idol”. While not as physically challenged as other “defective detectives” (a sub-sub-genre of pulp mystery fiction); such as Inspector Allhoff, the double amputee, or Calvin Kane, The “Crab” detective; Johnny does have to frequently resort to chewing soda mints to keep his heartburn at bay, occasionally burping “impatiently” and “succinctly” despite these antacids. 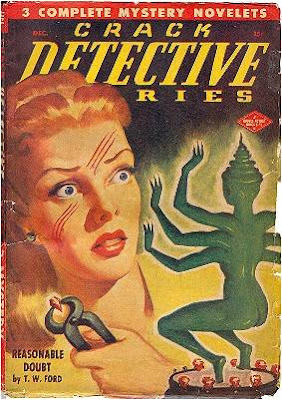 Thanks to the Pulpgen site for digitizing this mystery by Marcus Lyons (a.k.a. James Blish) from Crack Detective Stories (Dec. 1947). While it’s far from being top-notch detective fiction, it’s esoteric value is phenomenal. In its new summer/fall issue, the Oregon Literary Review is featuring a new column on genre fiction and has fittingly chosen to showcase the career and work of pulp author, Manly Wade Wellman. The column, edited and introduced by Jeremiah Rickert, contains a biography, a brief story about how Wellman managed to win the first Ellery Queen Mystery Magazine award over William Faulkner, some interviews and an essay, and finally two of Wellman’s stories. One of the stories is from a series of space operas set in the 30th century. It’s quite good, but it’s the other story I would particularly recommend: “Oh Ugly Bird”, the first of the John the Balladeer tales. 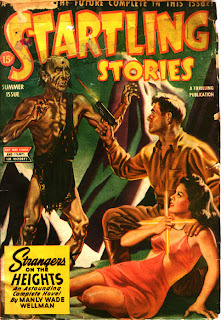 The story, which first appeared in the Dec. 1951 issue of Fantasy and Science Fiction magazine, introduces a character who is, to the best of my knowledge, utterly unique in the history of pulp fiction (or any type of fiction, for that matter) in a series that blends elements of fantasy, horror, science fiction, and folk songs. John, who Wellman said looks like a young Johnny Cash, roams the hills of North Carolina with little more than his silver-stringed guitar, encountering a variety of witches, monsters, and hoodoo men. While this brief description makes the stories sound a little absurd, Wellman, by drawing on his immense knowledge of folklore and music, manages to do nothing less than craft an entirely new brand of American folk tale out of genre fiction conventions. I cannot recommend these stories enough, and Baen Books has graciously made their collection of them available as a free ebook. And, while I’m mentioning online resources, I don’t want to forget to mention Daniel Alan Ross’ brilliant Wellman site, The Voice of the Mountains. On July 4th, the Dial B for Burbank site finished its epic, online “The Shadow Knows” documentary, and it is absolutely spectacular. This 10-chapter, 2-hour Quicktime movie traces the character’s entire history in print, radio, and film and pays tribute to Walter B. Gibson (a.k.a. Maxwell Grant) and all of the other artists involved in the Shadow’s creation and evolution. In addition to its professional presentation, the video and audio quality are excellent, and it can be downloaded chapter-by-chapter or as one large 587 MB file.